Firestone Airstroke™ Actuators have long been used in the industrial market as pneumatic actuators incorporated into new & innovative machinery designs. Firestone Airstroke™ Actuators have long been used in the industrial market as pneumatic actuators incorporated into innovative machinery designs as well as replacement actuators for traditional pneumatic or hydraulic cylinders. They have advantages over traditional cylinders in that they are durable, operate well in corrosive and abrasive environments, easily accept misalignment, and have a high ratio of stroke to collapsed height. 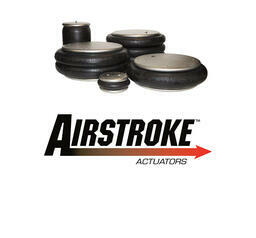 Also available are the Airomatic™ Polyactuators. They assist in conveyor transfer sections and roller brakes, but can be used in any application requiring small pressure & stroke and are about a third of the cost of pancake cylinders. Factory Sealed and Tested Firestone Airmount™ Isolators provide the highest degree of vibration isolation of any isolator on the market. Firestone Airmount™ Isolators provide the highest degree of vibration isolation of any isolator on the market. They are versatile and not only work to isolate delicate objects from external vibrations, but are able to support vibrating loads and prevent its energy from disturbing the surroundings. 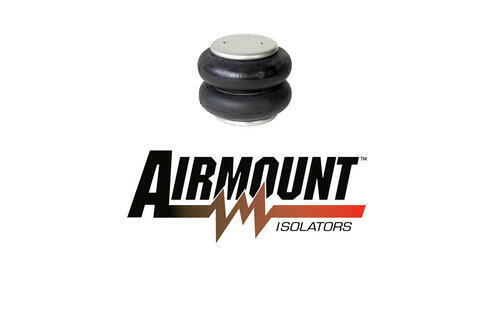 Airmount Isolators reduce structural noise, are available in a wide range of sizes, and extend equipment life through their superior isolation capabilities. 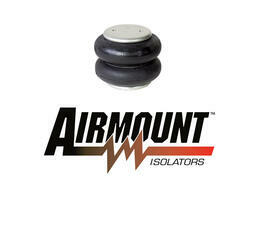 Airmount Isolators are a great alternative to conventional coil springs and other types of isolators. Firestone Marsh Mellow™ Springs are durable, simple, & virtually maintenance free. These fabric & rubber springs are your solution to vibration & isolation problems. Firestone Marsh Mellow™ Springs are durable, simple, and virtually maintenance free. 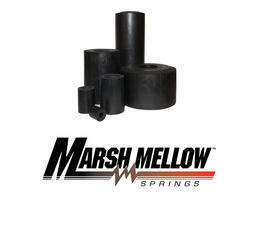 Firestone’s Marsh Mellow™ fabric and rubber springs are your solution to vibration and isolation problems. 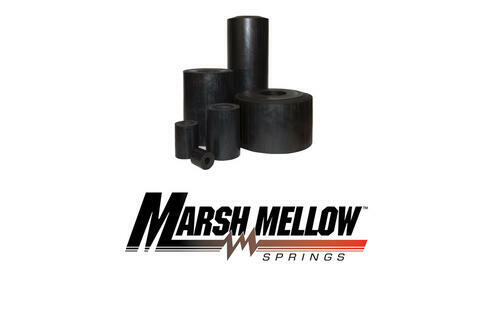 Marsh Mellow springs are fabric reinforced rubber cylinders that don’t require air. They will not break, trap particles, corrode or bottom-out, but will accommodate a wide load range and perform consistently. Replace those old-fashioned steel springs with Firestone’s tough, quiet Marsh Mellow springs for best in industry performance. AirPicker & AirGripper End Effectors for manufacturing & industrial applications offer a wide range of advantages over traditional pick and place devices. AirPicker and AirGripper End Effectors for Manufacturing and Industrial Applications. Firestone’s AirPicker™ and AirGripper™ end effectors offer a wide range of advantages over traditional pick and place devices. By simply controlling the amount of pressure within the bladder, Firestone end effectors can handle delicate objects with the soft touch of rubber and air. Each of the AirPicker and AirGripper products can work with a wide range of diameters and work piece weights. 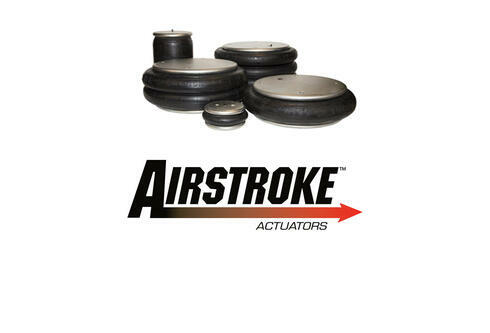 Firestone offers a wide range of configurations and sizes of end-effectors to meet your needs. W01R584036	 6 X 2 SBR BELLOWS ONLY with G.H. W01R584044	 12 X 2 SBR 2-PLY BELLOWS ONLY W/G.H. W01R584045	 8 X 2 SBR 2-PLY BELLOWS ONLY WITH G.H. W01R584046	 12 X 3 SBR 2 PLY BELLOWS ONLY W/G.H. W01R584047	 10 X 3 SBR 2-PLY BELLOWS ONLY W/G.H. W01R584048	 10 X 2 SBR BELLOWS ONLY WITH G.H. W01R584085	 8 X 1 SBR BELLOWS ONLY W/O G.H. WC13580336	 BOLT RIBNECK LARGE 2.5"
WR17609028	 Linkage Kit - HT Cont.